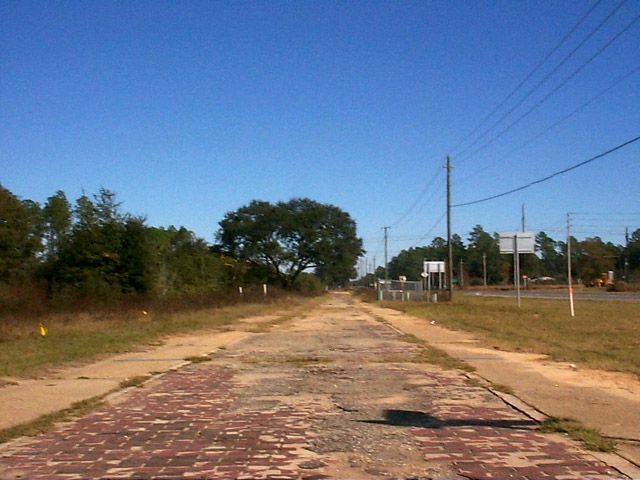 This roadway parallels current U.S. 90 to the north from Milton east to at least Florida 87. 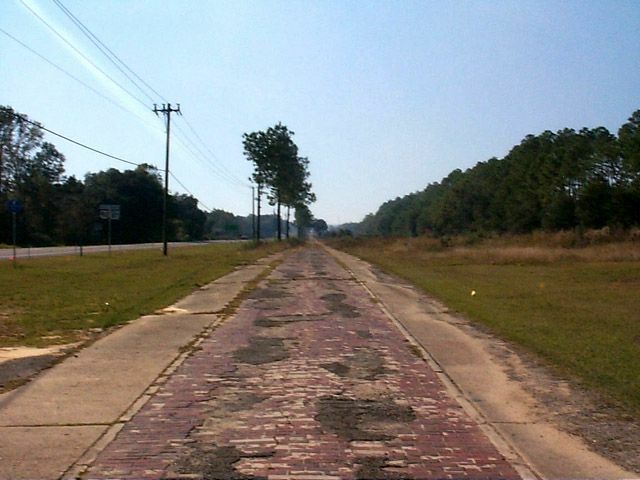 We are unaware of how much further the old road is intact, and have only seen the alignment from Milton to Florida 87. 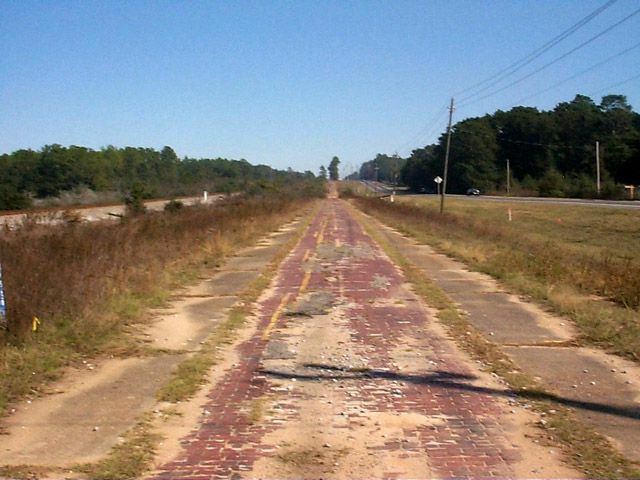 For the most part the road is in good shape for being almost 80 years old. It is open for bikers and pedestrians, although we saw a minivan driving on it as well. These first two images (above) look east then west at the roadway from the intersection of Florida 87 and U.S. 90. About a mile or two further west, the two more scenes of the roadway. The first one looks to the east, while the second looks to the west. 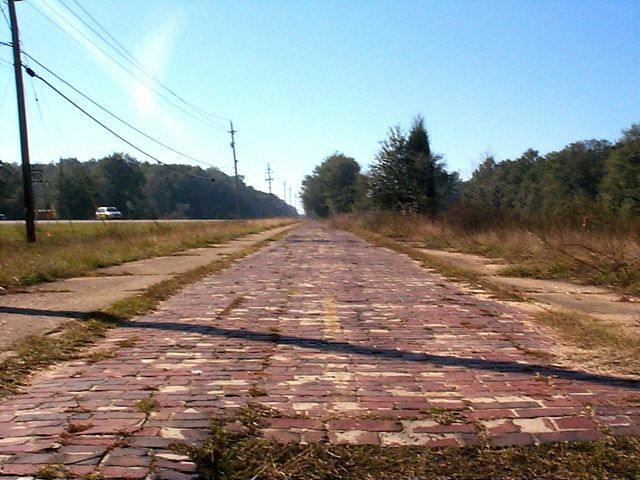 In 1999 signs were installed proclaiming the road as old State Route 1. 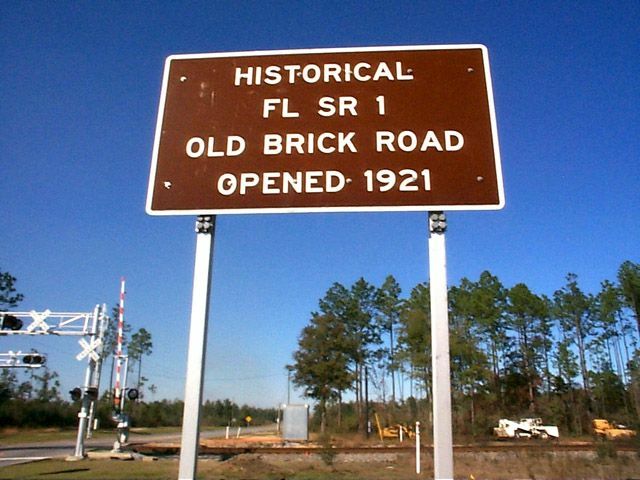 This sign is where Florida 87 intersects U.S. 90.